Tax Planning is most important part of Finance Planning for Tax Payers In India especially for Individual and Salaried tax Payers. 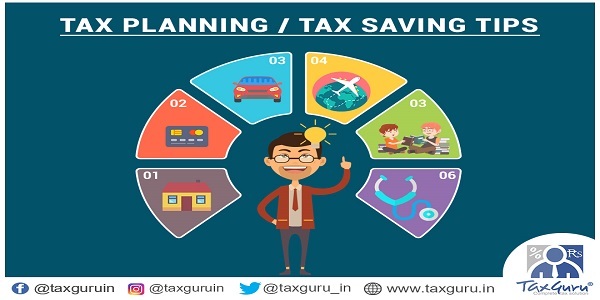 In this Article we are discussing some Tax Planning Tips mainly for Individual and Salaried tax payers by which they can minimise their tax burden for Financial Year 2018-19 or Assessment year 2019-20. Income from Salary:-Section 17 of the Income Tax (IT) Act is all about taxation under the head ‘salary’. In most of the cases, it is impossible for a salaried person to avoid tax on his income, except by way of deduction under chapter VI A of the IT Act. However, there are ways that can help you minimise your total tax outgo if you plan accordingly. Interest on Home Loan on Self Occupied House – The principal component of your loan, is included under Section 80C, offering a deduction up to Rs. 1,50,000 . The interest portion offers a deduction up to Rs 200,000 separately under Section 24. Expecting a bonus- A bonus from your employer is fully taxable in the year in which you receive it. However request your employer to push the bonus payment to the subsequent year If you anticipate tax rates to be reduced or slabs to be modified in the subsequent year but those who are in highest Income Tax Slab may not benefit from such exercise. As bonus is a fully taxable component of an individual’s salary, tax is applicable on it whenever it is paid. Leave Travel Allowance (LTA) is the most common element of compensation adopted by employers to remunerate employees due to the tax benefits attached to it. Section 10(5) of the Income-Tax Act, 1961, read with Rule 2B, provides for the exemption and outlines the conditions subject to which LTA is exempt. Supreme Court has held in the case of Larsen & Toubro and ITI that employers are under no statutory obligation to collect bills and details to prove that the employees had utilised the amounts obtained against these claims on travel and related expenses. 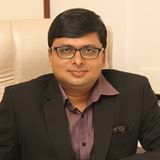 However Finance Act 2015 introduced a new section 192(2D) which came after Supreme Court decision, by virtue of which the person responsible for making the payment of salary are obliged to collect the necessary evidence or proof in the prescribed form and manner to allow any claim for any deduction and/or tax. The Central Board of Direct Taxes (CBDT) has prescribed the form i.e. Form 12BB, in which salaried employees would now required to furnish evidence of claims and tax saving investments to the employer. So the employer is obliged to maintain all supporting documents as proof of spending the amount which will be required to be submitted by the employee to the Employer. The tax rules provide for an exemption only in respect of two journeys performed in a block of four calendar years. The current block runs from 2018-21 (i.e, 1st Jan 2018 to 31st Dec 2021). If an individual does not use their exemption during any block on any one or on both occasions, their exemption can be carried over to the next block and used in the calendar year immediately following that block. If both spouses are getting the LTA benefit in their respective places of work, they can both claim the separate exemptions for separate journeys for travel with their respective set of dependent parents. Opt for the company car instead of using your own car:- In this case, the taxable perquisite value is restricted to a maximum of Rs 3,300 per month (car with a driver) as against the actual expense being taxed when the vehicle is owned by the employee. Further If you want to use your own car, but do not want related high perquisite taxation, then subject to approval of your employer you can buy the car in your family members name and lease it to your company, who in turn can let you use it. If you are paying Rent Make HRA Part of Your Salary – A deduction is permissible under Section 10(13A) of the Income Tax Act, in accordance with Rule 2A of the Income Tax Rules for HRA. You can claim exemption on your HRA under the Income Tax Act if you stay in a rented house and get a HRA from your employer. You need to submit proof of rent paid through rent receipts, duly signed and stamped, along with other details such as the rented residence address, PAN of Landlord, name of the owner, period of rent etc. If HRA forms part of your salary, then the minimum of the following three is available as exemption. 50% of your basic salary (for a metro) or 40% of your basic salary (for non-metro). Deduction for Rent Even if HRA Not forming Part of Salary – Under Section 80GG, an Individual can claim deduction for the rent paid even if he don’t get HRA. Not many people are aware of this deduction. 2) Rs 5,000 per month. Adjusted Income Means Income total Income before making any deduction under section 80GG. The deduction will also not be available to an assessee if any residential accommodation is owned by the assessee at any other place, which he is occupying, and the concessions in respect of self-occupied house are claimed by him for that property. In such a case, no deduction will be allowed in respect of the rent paid, even if the person does not own any residential accommodation at the place where he ordinarily resides. Opt for Reimbursement of Expenses :- Identify the reimbursements available from the company and take maximum advantage of the same. Normal expenses that one incurs could help save tax. Example- Telephone/fuel reimbursements and meal vouchers. A person in lower tax slabs can reduce his tax liability to nil with exemptions alone. Opt for salary components such as reimbursement of attire expenses, books and periodicals . These can yield small but profitable results. The reimbursement of telephone expenses including a mobile phone actually incurred by you on behalf of your employer is not taxable in your hands. Corporate club membership fee paid by your employer to help you join a club is considered a tax exempt perquisite. This facility can be used by the employee or any of his family members. The value of food coupons issued by the employer, redeemable only at eating joints, are exempt from tax as long as the value of the food coupons does not exceed Rs 50 per meal. Group mediclaim – This is a common benefit offered to employees irrespective of their grade and the premium is less than half of an individual mediclaim. You don’t have to pay for the premium; the company mostly bears the cost. Some companies, however, deduct the premium charges from the employee’s salary. In addition to this insurance cost upto 40% lesser then Individual Medical Policies. Asset assistance given by your employer. For example, provision of a computer or laptop owned by the company and provided to you or any member of your household is not taxable in your hands. Conveyance allowancefor commuting between home and office is exempt up to Rs 1600 per month. However wef A.y 2019-20 this has been withdrawn and standard deduction of Rs 40,000 is allowed. This standard deduction is allowed in lieu of conveyance allowance and medical reimbursement Rs. 3200 per month if employee is physically disabled is still available. Children’s Education Allowanceis exempt up to Rs 100 per month per child up to a maximum of two children. Allowance granted to meet hostel expenditure on employee’s child.- Rs.300 per month per child upto a maximum two children. While most of us know that we need to pay taxes on short term or long term capital gains, not many are aware of the fact that capital losses, if any, can be balanced off against gains. It is important to note that short term losses can be balanced off against both short term as well as long term capital gains. However, long term capital losses can only be balanced off against long term capital gains. Save tax through your family – Simplest way of saving tax is by investing through parents, parent in laws, wife and children. If you invest in the right instrument, the rate of return may be higher as well. Here is how we can save tax through our family members. Rebate Under Section 87A – Section 87A seeks to provide that an assessee, being an individual resident in India, whose total income does not exceed 3.5 lacs , shall be entitled to a deduction, from the amount of income-tax (as computed before allowing the deductions under Chapter VIII of the Income-tax Act) on his total income with which he is chargeable for any assessment year, of an amount equal to hundred per cent of such income-tax or an amount of 2500 rupees, whichever is less. c. Deduction U/s. 80DD– A person who have spent money on the maintenance (including medical treatment) of dependant persons with disability, could avail deductions 80DD of the Act. d. Medical treatment of specified ailments under section 80DDB:-Deductions of expenses on medical treatment of specified ailments (such as AIDS, cancer and neurological diseases) can be claimed under Section 80DDB. The maximum amount of deduction allowed from gross total income is restricted to Rs 40,000 but which goes up to Rs 60,000 if the age of the person treated is 60 years or more this has been increased to Rs 1 lacs wef A.y 2019-20 and to Rs 80,000 for super senior citizen (that is,80 years or more) for A.y 2016-17 to 2018-19 and to Rs 1 lacs from A.y 2019-20 on condition that no medical reimbursement is received from any insurance company or employer for this amount. e. Interest on loan taken for higher education & vocational courses. :- Taxpayers also tend to forget that the interest paid on an education loan taken for higher studies or vocational curses qualifies for deduction under Section 80E of the I-T Act. Deduction is also available where the loan is taken for the purpose of higher education of spouse or children of the individual or the student for whom the individual is a legal guardian. Also remember that the deduction benefit on interest is allowed for maximum eight years, or till the interest is fully paid. Purchaser should be first time buyer. i.e. he has never purchased any house and now he is going to purchase a house. Value of the house should not more than 50 lakh. Loan taken by Individual for the purpose of buy a house should not be more than 35 lakh. On the date of sanction of loan individual does not have any own residential house property. Loan for this purpose taken by individual should be from the Financial Institution or Housing Finance Company. For this purpose, loan should be sanctioned between 01.04.16to 31.03.17. The Assessee can claim deduction under section 80EE on interest payable on home loan. The amount deduction shall be the interest payable or Rs 50,000,whichever is less.The deduction is available for A.Y 2017-18 and subsequent assessment years till the loan is repaid. g. Charitable deductionsunder section 80G:Deduction is also available under Section 80G of the I-T Act in respect of donations made by an individual to certain funds, charitable institutions and so on. There is no restriction on the amount of charity. The rate of deduction, however, is either 50 or 100 per cent. However, you cannot use this route to evade tax by bringing down your income tax slab. There is a ceiling on the deduction a taxpayer can claim in a year. The quantum of deduction is limited to 10% of the gross total income of the donor. Also, only cash donations are taken into account. Donations of food, clothes and medicines do not qualify for such a deduction. h. Deduction under section 80U for Person with disability:-Under Section 80U of the Act, an individual who is certified by the prescribed medical authority to be a person with disability shall be allowed a deduction of Rs 75,000 and an individual, who is certified as a person with severe disability, shall be allowed a deduction of Rs 1,25,000. Really useful information mainly for Individuals and Salaried taxpayers. Thanks for sharing! Is there any tax-free investment? private banks and all NBFCs , companies etc. This is about tax free income! The rule says you are exempted from a interest amount of RS.10,000 per annum. Can you give clarity, whether it is total interest gained in a year from one Bank/branch OR it is the total interest earned from all your FD’s? The question here is, I am in 30% bracket, and if I deposit RS.10L in one account, I need to show the RS.90,000 interest earned as income, but if I split it into 9 accounts, the interest becomes tax free! Under Section 80TTA , deduction of Rs.10,000 per year is allowed only for Savings Bank Account Interest. This section is not applicable to Fixed Deposits Interest Income. If you are going to deposit your FD with different branches of different banks , then you can’t escape from disclosure of these income. Because all FD interest details will be reflected in your Form 26AS. Under section 80C, there are two instruments. If I invest one lakh in PPF and another Lakh in other instruments and do not show the PPF in my returns, would it still give tax free income? The point is all such savings are eligible, but if I do not reveal, how it is treated? A house is a single apartment or it can be two, say in a floor? The point is the amount specified in your RS.40L in many cases is under-written. We are working couple, and for the past 15years, we were paying taxes, filing returns, and we still have another 12 years of work, salaries will be added, saving under all sections available, paying the annual taxes on salaries. The point is, the amount saved for the past 15 years, and the next twelve years is being simply getting added and added, getting a compounding effect. My estimation is that it is now around Rs.75Lakhs and for the next 12 years, this amount as well as the future additions is going to be around Rs.4Crores, which we want to handover to our only son. The question is what is the tax treatment of this amount? Tax on accrued interest? Am I doing any mistake? Violating any tax laws? If your installments of both the loans are upto 100000 and intetest amount upto 150000 then you can claim exemption for the same . . . .
i have 2 Home loan as the case am i eligible to get benefit for installment and interest on both loan ? Good write up, carry on .